Coinciding with the Food Fair 2018, the C.R.D.O. 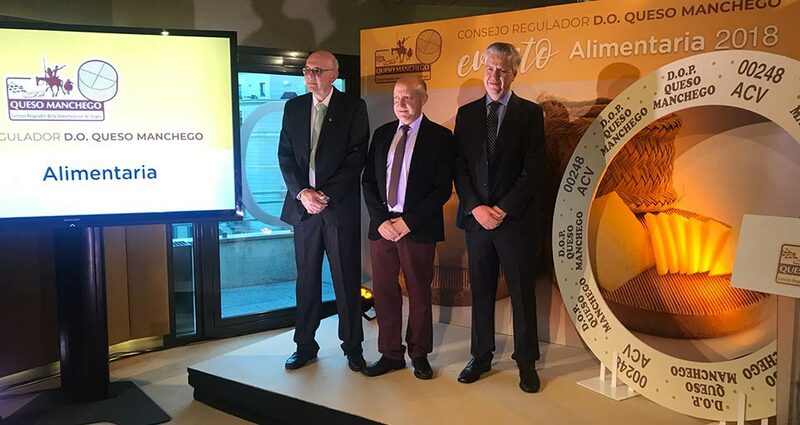 Manchego cheese celebrated on April 17, the presentation of the new casein model for the Manchego Cheeses of Protected Designation of Origin. The event took place in the charismatic Hotel OMM in Barcelona. Las Terceras attended as a cheese factory of Manchego P.D.O. along with a large number of participants related to Manchego Cheese. The new design of casein is ring shaped and larger than the current one, in order to cover all the cheese. In this way, each wedge of Manchego cheese will have a part of the identifying sign of Manchego Cheese D.O.P., thus avoiding possible fraud or forgery. The event ended with an interesting Showcooking that also served to share experiences and generate synergies among the attendees.